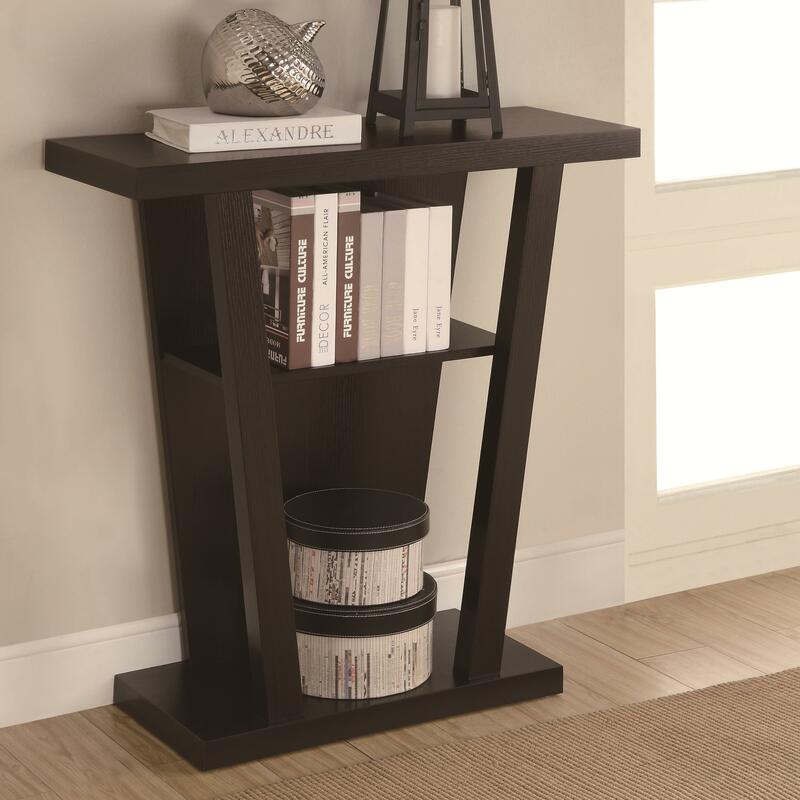 Accent your entry way or open living space with this charming entry table. Contemporary in design, it features an angled base that adds a unique look with its presence. The table is finished in a rich cappuccino and includes plentiful storage space with lower shelving. Perfect for displaying home accents, decorations, and keepsakes. The Accent Tables Angled Cappuccino Entry Table with Storage Space by Coaster at Prime Brothers Furniture in the Bay City, Saginaw, Midland, Michigan area. Product availability may vary. Contact us for the most current availability on this product. The Accent Tables collection is a great option if you are looking for furniture in the Bay City, Saginaw, Midland, Michigan area.